This past weekend Precision’s head coach Brian McLaughlin was at the UFC cornering Jim Miller and Charlie Brenneman. 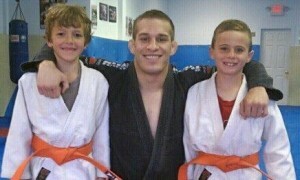 Check out this article detailing the fight preparation leading up to Jim’s show stopping submission victory. Dutchess County, New York has a multitude of Martial Arts’ schools. However, for the most part they are fairly “cookie-cutter” in their approach and do not teach a wide variety of striking techniques. “Striking” is a general term for attacks such as punches, kicks, knees and elbows which forcefully impact an opponent. Precision MMA in Dutchess County teaches a wide array of strikes which often catch our opponent’s off-guard in competition, leaving our students victorious. Precision Mixed Martial Arts in Dutchess County New York teaches both Boxing and Muay Thai Kickboxing as its core striking arts. However, the assortment of strikes which our opponents see coming at them would probably lead them to assume that we teach many other styles such as Karate, Taekwondo and even Capoeira. The reality is that they would be correct, because our Muay Thai classes in particular, taught by 7-0 AKBF Muay Thai Champion Karl Nemeth, include strikes from so many different styles that it is very hard to pin down our method of striking to any one specific approach. For a striker to be successful in competition he must never be predictable, otherwise his opponent will see his attacks coming and avoid them. Precision Mixed Martial Arts in Dutchess County is quite unorthodox in its arsenal, much to the frustration of anyone who decides to get into the ring with our fighters. When it comes to kicking, many styles of kickboxing and other martial arts teach mainly front kicks and roundhouse kicks. Fighters from these schools are usually unprepared to defend themselves against kicks coming from more unusual angles and many of these are taught by our head Muay Thai instructor Karl Nemeth in his classes. One type of kick we teach which would throw many more conventional martial artists off guard is the spinning hook kick. This kick has recently been used very successfully in the Ultimate Fighting Championship by both former Heavyweight Champion Junior Dos Santos in knocking out veteran Mark Hunt and Vitor Belfort in knocking out former Strikeforce MW champion Luke Rockhold. It was also used effectively on the last season of “The Ultimate Fighter” by Uriah Hall. Even despite this kick’s recent success, due to its nature as a high velocity spinning strike and the numerous set ups we show for it, it is still rarely seen coming by our competition. To perform this kick properly the practitioner must step his front foot out so that it is positioned at about a fifteen degree angle from the back foot. This is quite a misleading stance because it momentarily exposes the student’s back to attack, as well as the back of his front leg for a leg kick. However, this deception is exactly what makes this kick so deadly. Done quickly and without hesitation, the back leg is then spun behind the kicker and as he turns around to face his opponent he lands the heel of his back foot directly on the jaw of the opponent. The amount of force which can be generated by this kick is tremendous, as can be seen from the fact that all the aforementioned examples in the UFC have led to devastating knockouts. And yet, most martial arts schools neglect this kick entirely. Another unorthodox kick that we teach is the “question-mark kick”. This kick is often used in styles of Karate and Taekwondo but throws many conventional Muay Thai fighters off guard. It can be done with either the lead or back leg and consists of a starting motion where the kickers’ leg comes forward as if to throw a low front kick. However, the kick changes direction at the last moment and lands at slightly downward angles across the opponents’ face. This misdirection leads the opponent to drop his hands, expecting a kick to the body or legs, which results in his leaving himself open for the head kick. 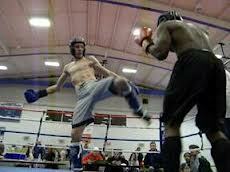 We have had success with this kick in many Dutchess County Kickboxing fights and our opponents rarely see it coming. Precision Mixed Martial Arts in Dutchess County also teaches many other sorts of strikes such elbows, knees and many different types of punches. We show how knees can be used while in the clinch for great effect, as well as from a further distance, and we even show flying knee attacks which most opponents do not see coming. 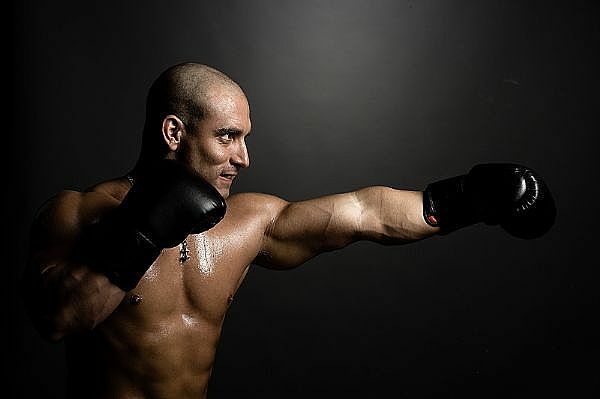 We show a variety of elbow techniques coming from sideways, diagonal and other angles, and finally, even the punching techniques taught in our boxing classes are often not seen in your typical boxing match. One of these is a “side fist” taught by one of our boxing coaches and experienced AKBF competitors John Joy. It is thrown instead of a jab with the fist held with the thumb pointed towards the ceiling in a sideways’ fashion. This provides the attack with a more narrow surface area which allows it to slip between the opponent’s guard most easily to connect with his head. We also focus a good deal on lead hand upper cuts and “long hooks” which have less of an arc than the conventional boxing hook. These techniques have also helped our boxers and kickboxers to have significant success in the ring because they are not usually taught by schools in the Dutchess County area and catch our opponents by surprise. It’s the strike that you don’t see coming which hurts you. This adage rings true in Mixed Martial Arts, Kickboxing and Boxing, and it is just one of many reasons why Precision MMA in Dutchess County produces effective strikers. Our students always have a full toolbox and our instructors are always adding more weapons to their arsenal to teach in our classes. Come strike with us for a free 30 days trial and feel empowered. Team Precision Boxing has been steadily making a name for itself across the New York area. This Dutchess County based boxing gym just produced its first upstate Golden Gloves champion when heavyweight boxer Pat Daka earned the crown after several tournament victories up in Buffalo, NY. On the local Dutchess County scene fighter John Joy is a familiar face at many of John Carlo’s AKBF fight shows. Always a crowd favorite, John’s straight ahead style made him the organizations 160 pound champion after several hard fought victories. Making him one of the most recognized faces in Dutchess County Boxing. The man behind the curtain for Team Precision Boxing is Derrick Ohlhoff. Derrick first met Precision owner Brian McLaughlin as their paths crossed at several boxing gyms. The two became sparring partners as Derrick, a 3-time Golden Gloves Champion himself, was training for the nationals. Derrick appreciated McLaughlin’s work ethic and agreed to help train his fighters at his Dutchess County gym in LaGrange, NY. Derrick brings a true wealth of knowledge and experience to Precision, a veteran fighter with more than 30 bouts under his belt Derrick knows the ins and outs of the fight game. 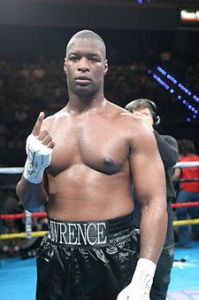 Derrick has also worked with high level Dutchess County professional boxers such as Brian Barbosa and Zuri Lawrence. 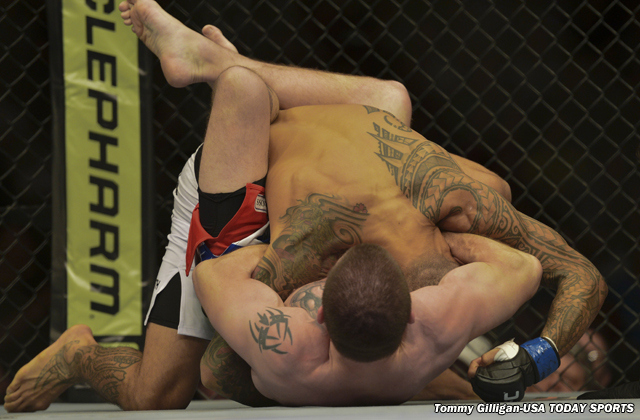 Originally, Precision was focused solely on MMA competition. However, as the program grew a dedicated boxing team arose. Now Team Precision boxing is a known force to be reckoned with on the Dutchess County Boxing circuit. The Team Precision Boxing style emphasizes strong defense – head movement, slipping, bobbing and weaving, blocking and counter punching make up the core of the curriculum. Precision boxers don’t always get their hands raised, but they rarely absorb damage. Hitting without getting hit is the mantra for Precision Boxers. Precision boxing welcomes boxers from all walks of life. You don’t have to be the next Mike Tyson to walk through the doors of Precision. While we’re very proud of our competitors’ achievements, most of our boxers just come in to get in shape and learn self defense in a fun and safe atmosphere. At Precision we pride ourselves on being the most approachable boxing gym in Dutchess County. There are no “tough guys” here and we encourage all our students and keep the egos in check. Whether you want to become the next world champion or just want to sweat off a few pounds, Precision Boxing can get you to your goals. Join the best boxing team in Dutchess County! Quality Boxing in Poughkeepsie, NY is now a reality! The sport of boxing has been helping people from all different walks of life better themselves for centuries. However, quality Poughkeepsie boxing has been hard to come by. 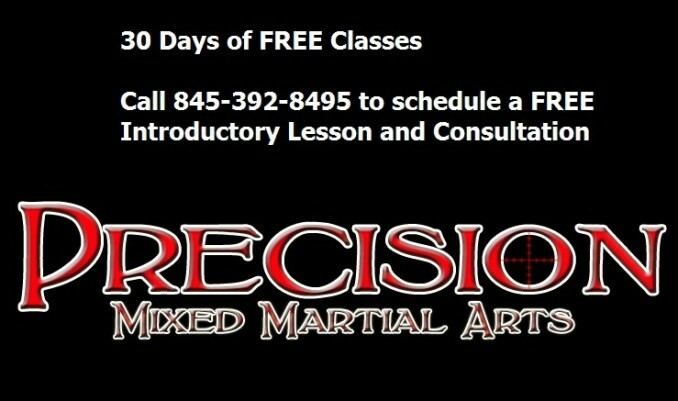 Precision MMA in LaGrange, NY (just outside Poughkeepsie) is changing that. There are many different motivations that drive people to put on a pair of gloves and step into a boxing gym. A quality boxing gym will work with all boxers, not simply fighters or potential superstars. Precision MMA offers a safe, clean and supportive environment for boxers across Dutchess County to learn the sweet science. The first thing that sets Precision MMA apart from many traditional boxing gyms are the group classes. Many boxing gyms offer only one on one training working with only a single boxer and a single trainer. However, being able to learn in a group builds in a support system of boxers working together to achieve similar goals. Boxers build camaraderie and friendships making trips to the boxing gym about more than just punches. Precision’s Poughkeepsie boxing program also offers many different types of classes all of which cater to different boxers. New boxers are brought into fundamental classes. At these training sessions boxers work on the essentials of footwork, punching technique, head movement, stance and combinations. Partner drills, pad work and coordination exercises make up the core of the program. New Poughkeepsie boxers are not made to spar and no one leaves these classes with black eyes or a bloody nose. Circuit training classes challenge Poughkeepsie boxers with different sports specific exercises focusing mainly on cardio and strength building. Boxers become familiar with the heavy bags, jump ropes, double end and maze bags which are part of Precision MMA’s amazing 5,000 square foot facility. Shadow boxing and calisthenics are also staples of these classes. Boxers of all experience levels from novice to professional build their fight fitness in these incredible classes. Others use these classes to lose weight and relieve stress. Precision boxing is full of success stories from boxers across Poughkeepsie who have lost weight and kept it off. For those interested in learning boxing for self defense sparring classes exist that simulate street fight scenarios. Here boxers learn how to stop attackers using combinations and defensive tactics. Everyday people come to these classes to learn the skills that will keep them safe walking home late at night. Finally, for boxers who dream of stepping into the ring Precision has competition classes with the goal of creating champions. Boxers work one on one with coaches doing intense pad sessions and hard sparring with boxers from all levels – amateur to professional. The Precision boxing team has produced some of Dutchess County’s most accomplished boxers, home of multiple golden gloves champions. Precision emphasizes skill over power and makes sure that its boxers are smart and slick rather than glorified brawlers.